Our fantastic feeds and talks run daily and are included in your entry tickets. For more information regarding our feed and talk times, please click here. Talk and feeding times are subject to change. 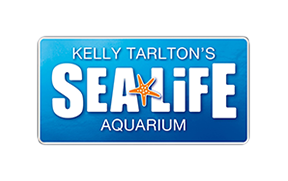 We try our very best to maintain a regular schedule of presentations at SEA LIFE Kelly Tarlton's, however, we occasionally make changes in the interests of animal welfare. We'll strive to update the website if and when we make changes to the schedule. To be sure you won't miss a thing, please enquire about your favourite animal feed on entry.